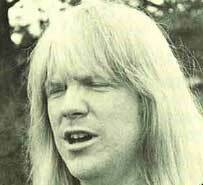 Larry Norman has been a key figure in the development of contemporary Christian music. Back when people were just getting used to the idea of guitars and banjos in the church (folk music), along came Larry and his long blond hair, rockin' and a rollin' his way onto the scene. And for most people it was, well... disgusting. 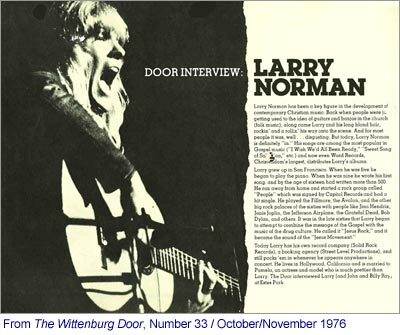 But today, Larry Norman is definitely "in." His songs are among the most popular in Gospel music ("I Wish We'd All Been Ready," "Sweet Song of Salvation," etc.) and now even Word Records, Christendom’s largest, distributes Larry's albums. Larry grew up in San Francisco. When he was five he began to play the piano. When he was nine he wrote his first song, and by the age of sixteen had written more than 500. He ran away from home and started a rock group called "People" which was signed by Capitol Records and had a hit single. He played the Fillmore, the Avalon, and the other big rock palaces of the sixties with people like Jimi Hendrix, Janis Joplin, the Jefferson Airplane, the Grateful Dead, Bob Dylan, and others. It was in the late sixties that Larry began to attempt to combine the message of the Gospel with the music of the drug culture. He called it "Jesus Rock," and it became the sound of the "Jesus Movement." Today Larry has his own record company (Solid Rock Records), a booking agency (Street Level Productions), and still packs 'em in whenever he appears anywhere in concert. He lives in Hollywood, California and is married to Pamela, an actress and model who is much prettier than Larry. The Door interviewed Larry (and John and Billy Ray) at Estes Park. DOOR: How have you changed in the last six or seven years? NORMAN: I've become more friendly in concert. DOOR: You don't think you're the angry young man that you used to be? NORMAN: It's just my appearance that's more friendly. I used to bleed for the Jesus Movement because they didn't know enough to bleed for themselves. Almost from the beginning I could see the death that was going to come because they weren't being led by mature teachers. There was zeal without wisdom. And the Jesus Movement was being misrepresented. It was 90% comprised of nice, middle-class kids who had had early exposure to Christ in churches and then when they became seventeen or eighteen, accepted Him personally. They made a commitment during the time when the counter-culture was visible and written up in the press. The movement was not made up of ex-drug addicts and ex-Hell's Angels. The Jesus Movement wasn't a street movement and it was wrong to portray it that way. So every place I went, all I could see was the imminent fall of what could be so beautiful and continue. But it couldn't continue if nobody blew the whistle. I was just trying to say, "Hey, stop, we've got some problems here that we're totally ignoring." I felt that my role was to set aside my own personal music, my own personal enjoyment, and my own personal kind of statements and speak out. DOOR: So you're not angry and fighting anymore? NORMAN: I was fighting for the Jesus Movement. I wanted it to live and grow strong. But it's dead. Let the dead bury the dead. DOOR: What are you doing now? What occupies most of your time? NORMAN: I help other artists that are strongly chiseled from the hard substance called reality. I help Christian artists who are smack up against the hard realities of life and not the wonderful realities of some people's lives. I help artists who are really excellent writers, who have been through a lot, who know what they're talking about, and who don't wear buttons that say, "PTL." If they wanted to praise the Lord, they would take the time to say all the words and they would probably think of a more definitive way to say "Praise the Lord" than those three letters. DOOR: What gives a musician the right to go out and have a ministry? How do you know when a person has that authority or gift? NORMAN: I hear it in their songs. Their songs have to show me that they've really traveled a lot of distance and that they really haven't compromised. That they don't lie to themselves about themselves. That they know that they are basically a pig. That all humans are basically pretty crummy. That even the nicest people, if they know their own heart, are desperately wicked and need Jesus. And the artists I work with don't have any false view of their worth. They know that their only worth is in Christ and that even then they are pretty much under-achievers as far as God's standards go. But how do I know that someone's called to minister? I don't know. There is a whole bunch of people down there and I don't know what their music is about. I understand all the words because I passed the third grade. And I understand their music because I know those progressions. I’ve heard them lots of times. But I don't understand why they're doing it. It does not ring a bell with me. It does not connect. It's not visceral enough. DOOR: Just because they're a good music group, who gives these people the right to get up on that stage and define the gospel for everyone? NORMAN: A lot of people have the right to get up and sing songs because they know pitch and they know how to sing, but they haven't got the right to tell anybody what God thinks because they haven't studied what God thinks. Jesus shut up until he was thirty, as far as a large ministry went. So how does a twenty-one year old feel he can shoot off his mouth about anything? And doesn't he feel terribly upset when two years later he realizes he's matured and doesn't even question how many people he blew away in incorrect thinking. And maybe he shouldn't even speak much now because if he was that immature then, maybe he will be this immature three years from that date. I don't know. I would drop 80% of all the music off all the labels if you want Christian music that represents Christ. In fact, not much music really represents Christ's glory or even His message. But unfortunately, there's a lot of Christians in the record business and they need a lot of artists because they need to sell a bulk of records or the company will go under. You either have to have a whole lot of artists hoping that some of them are good enough (like Andrae Crouch), to sell a lot of records to make up for the records that didn't sell, or you have to be a businessman who is selective enough to only choose the proper people to begin with. And most businessmen are not selective or know music. A lot of them are pretty tone deaf. DOOR: And most record producers don't appear to know what the message is? NORMAN: They don't even know anything about music, so how can they produce records? I guess everybody has to have something to do with their life and they couldn't be President because that job was already taken. I don't know of any good record producers in Christian music. I know of some good Christians who are excellent record producers, but they are not in Christian music, they're in real music. They help the Christians, but they wouldn't go near the Christian record companies. DOOR: Do you feel comfortable as a "Gospel recording artist?" NORMAN: Well, I have Solid Rock Records which is me. Word distributes it so that now my records can get in the Christian bookstores as well as the regular stores. But, I'm not comfortable. I'll tell you another thing I'm not comfortable with. I'm not comfortable with being some kind of celebrity. I really don't warm up to attention. I would rather be let pretty much alone. I hate to sign autographs. I refused for five years to sign autographs. I'd spend five minutes talking to the person. "Where do you go to school? Have you got a girlfriend? Are you lonely? Are you happy? What would you like to do with your life? Is there anything you'd like to do... maybe I can help you with it or tell you somebody who can. But I don't want to sign an autograph. Autographs are like a status system. You only want the autographs of somebody above you. I don't want to be above you. I just want to be on equal terms with you. I want to be an allegory for God's equality system. And I would spend all this time talking to them and when they went away I would still hear, "He's too good to sign autographs." They thought I was a snob. So now I save an awful lot of time not talking to people who really don't want to talk anyway. They just want an autograph. They want some kind of a scalp or a twig off the tree of life or a clutch of hair off somebody to put in a scrapbook. I don't see that point of autographs except to prove that you were there. And I don't think it's necessary to prove that you were there. I once got Paul McCartney's autograph. I felt so stupid. It was after we were talking for about twenty minutes and we were having a nice chat. He'd known about some of the music I'd done with my band and he accepted me on a musical level because he liked the record. Then at the last minute, as I realized I was going to go someplace, I thought, "I've got to get his autograph. I just have to. After all, he is a Beatle." So I asked for his autograph and he was very visible disappointed. It was like, "Oh, I thought that we were both people." I was so embarrassed that while he was signing it, I didn't even want it. And you know, I lost it within a half a day. I lost his autograph. So I now sign autographs if somebody asks me. I sign them and I try to grit my teeth. But I'm not comfortable with being a celebrity. I just don't thrive on attention. It's just so embarrassing when someone comes up and says stuff like, "I can't believe I'm talking to Larry Norman." What am I supposed to say after that? I just don't know what to say. So I spend most of my time backstage. DOOR: Do you think there's a place for the Christian superstar? NORMAN: Sure there is. When you're little and Superman is your hero and he does good things, he encourages you to be heroic. If the Lone Ranger is anonymous and rides off without a thank you, that encourages you to not always look to see if you got a good grade on the paper, or wait for Mommy and Daddy to say thank you for carrying out the garbage. Billy Graham is really an encouragement to me. I don' t know anything about him personally. I don't even want to. I just love what he says when he's on TV. I love to hear old George Beverly Shea croak out those low notes. I'm so glad that they've grown old and handsome and that I haven't ever heard any scandal about them. And their wives seem to be such beautiful women, and I don't mean just physically, but just gracious and lovely. And I hope that I age gracefully and that when I'm old I won't be a deficit to the Lord. They're an encouragement to me. And I'm proud of them as Christians. I'm proud of Malcolm and Alwyn and Love Song and I'm proud of Randy Stonehill. And I look up to them even though they told me they got a lot of ideas from me. I look up to them because they refresh my spirit. So having heroes is great. It's good for the audience to have heroes, but it's not always good for the performers to be heroes. DOOR: Is it good to create heroes? NORMAN: It's wrong to manipulate masses or individuals if you're a record company, or a publicist or anything. But that's the job of a publicist. The job of the devil is to lie. The job of a publicist is to magnify. It doesn't mean that either one of them should be doing what they're doing. DOOR: I'd like to get your reaction to the fact that most stars in Christian entertainment are the beautiful people. All the glamour people. God's best. The women are sharp looking. Great clothes, great jewelry. Big diamond rings. Great hair. Is there a danger in Christianity of communicating... false values? NORMAN: Yes. Trying to say the right message, but giving it the wrong packaging. That's one way to be worshipped. To look better than everybody and seem to have no problems. Make people look up to you. But I think it alienates people. I wouldn't take any of my non-Christian friends to see maybe 90% of the Christian groups. I think that Christian groups are alienating kids out in the audience who know they'll never be able to play guitar that good. They'll never look that good. They'll never be able to wear clothes with that much ease. And they can't sing on tune. What hope is there for them? When I was in "People," I used to dress up and made sure that my hair was cut regularly and that I looked really nice. But when I came into Christian music, I made it a point of trying to be as average looking as everybody else, looking just like I came off the street. I have never had a nice guitar. I have the same guitar I've always had. It has cracks all over it. It's been broken four times. I've had the same coat for four years and the same shoes for nine years. I don't make an issue of it. I never tell anybody. I like them. I wear them because I don't want to give somebody the inductive impression that, "Hey, if you can get your hair to look great, get rid of your pimples, and get some good clothes, then you'll really be a heavy Christian. Somehow you'll just get along better with God." DOOR: Most Christian entertainers who take bookings and get up on stage and do their bit, have a set program, a set repertoire. They know what they're going to say between songs. And nearly every group here that gets up talks about their great joy. They're so happy. God is blessing them and they're on this super high. Don't they ever feel bad and rotten? NORMAN: No. Not on stage. DOOR: How do you deal with that? NORMAN: If I have a bad night, sometimes I just tell the audience, "Look, I just don't feel so hot tonight. I really hope that none of you wanted something of me that I can't give you. But listen, none of us can give anything to anybody. We can only get things from God that really have good value. And I'm sorry, but I'm pretty wasted tonight." DOOR: Do you think it's right to sing a song that says "I have joy and I have peace," when you don't have joy and you don't have peace. NORMAN: You shouldn't sing it on that night. Or that week or that year, if you don't have it. Because that is a lie. DOOR: But if it's your best opening number? NORMAN: Oh well, show biz. DOOR: How do you feel about the manipulative power of music? NORMAN: Some groups go so fast through their repertoire that there's not much chance for the Holy Spirit to slip in there. And sometimes it is very manipulative. Americans like to be entertained. If I've learned anything from, doing concerts, I've learned that. They don't really want to be reached. The majority of people on the majority of nights don’t want to be reached and they don't want to be touched because that means they'll have to change. There're always those special nights when everybody just wants to fall on their face because God has been there, for some reason, He decided to attend the concert in a mighty way. But most people want a nice time and maybe a little bit of truth and wisdom that they can put in their pocket. When they get bored they can take it out and decide whether or not they want it. But any time you accept truth, you have to change. You have to make room for it and I don't think people like that. I've alienated many an audience by telling them exactly what I knew I had to speak. Once, I lost twenty concerts in half an hour when I was at a conference. I said exactly what I knew had to be said for that congregation. And most of the young people in the audience and some of the middle-aged people really responded. They came up afterwards and said that something in them broke and they really knew that they had to change. And it wasn't because I had great truth or insight, it's just that I could see it so clearly in that audience. I spoke to them about them. But their minister called up all of the churches that I had lined up for the rest of the year and every one of them cancelled. Now I didn't mind that really. I thought that was funny. I didn't mind not going there because I didn't want to play churches anyway. That isn't really where I was supposed to be, but back then I didn't know you could turn down people and say "No, I don't think I should do it." I thought that if somebody called you up, the Lord must have told them to. But now people call you up on their own initiative and you have to decide what you should do and what the Lord wants you to do. Now I do turn down concerts. DOOR: A group can go into any auditorium in any church and bring in a ton of sound equipment and a drummer and a steel man and put together a heck of a thing and give some testimonies at the end. And that group can have every kid in that place down front crying his brains out. But some poor preacher or some poor teacher who's studied and labored and worked, can stand there and talk until he's blue in the face and everybody gets up and walks out. Is this God working, or just the power of what we've got? NORMAN: It's the moment of the media. Sociologists say this is the generation of music. Literature is out. It takes too long. Poetry is out. It's too complicated. Music is accessible. It's in. And it's wrong to think that God has been someplace because people responded to music. And it's wrong to use music simply because you know it can manipulate an audience and make them respond more than just a preacher will. Maybe that audience needs a heavy night of preaching which they won't like, and not a night of music which will make them all come down and give nothing to the Lord except emotion. God wants commitment and He wants some change. He doesn't just want response. I never believe an audience. If they clap, it doesn't mean a thing to me. If they laugh, it doesn't mean a thing, not specifically. It doesn't mean they're laughing because they understood what I said. It could be the timing. Or the way it sounded. Or if they clap it could be because you hit a high note and they clap for the dramatic ending. Mostly people clap for recognition. They clap for themselves. They say, "I see myself in that. I agree with that. I identify. I approve." That's mostly what they clap for. That's why people start clapping when they recognize the first few notes of your song. It's a response. It's not a good indication of stimulus . There need not be a reaction for every spiritual action. And also, I think people confuse effectiveness with success. There are a lot of people who are successful, but I don't know how effective they are. We're very success-oriented in America. Jesus spoke and there were 5,000 men and maybe more women on the hill. And then He said some really strange things at the end about eating and drinking His blood and His body and everybody split. He didn't get a standing ovation or anything. He had a good turnout, but the crowd wandered off after three days. So He maybe wasn't very successful as far as the Galilee Gazette was concerned, because He didn't have many followers after that. But He was effective. And we have to care more about being effective than successful. We have to care more about reaching hearts than selling albums. And there's no way you can say, "We've sold 50,000 albums. That's a lot of people we've reached for the Lord." How do you know you reached them for the Lord? How do you know they got a thing out of what you did? Maybe they bought it because they were comfortable with it but it didn't threaten or challenge them. We really have some false ideas of how God works or what a blessing is. I still cannot correlate that money is a blessing. I'm not looking at my bank balance to decide how much God has blessed me. And I wish I could stop hearing that spoken. You can always say "That was a good concert," but you can't always say "That was a good job." DOOR: You've been blasted for the high prices you've been known to request for concerts. How do you deal with this criticism? NORMAN: First of all, I try to show the person who's trying to put on the concert that he shouldn't do it for free anyway because people don't respect anything for free especially in America. Kids would be more quick to walk out of a free concert than they would if they paid $2.00. And I explain to them that they ought to try to get a large assembly and get a bunch of kids that don't know about Jesus. Those kids aren't going to come to a free Christian concert anyway. They might come to something that cost money. They're used to paying $12.00 to see the Beach Boys. Second, I'm not really in a ministry. I'm not an evangelist. I'm a musician and a writer. And I only do a few concerts a year. I charge what I feel my value is. I have a very high price and that's my value. And for that they'll get a lot that I don't believe they'll get from other people. But I wouldn't say that to them. If they know what I do then they'll know if it's worth paying. It's a touchy problem because it's touchy for them. I have no problem asking for the money. I have problems spending it. I just spend it on other people. Because I don't care about clothes. I don't really care about restaurants. I do pray for one possession: that is a house for Pamela and me with a stable and permanent address for twenty years or until the Lord comes. But I don't have any problem asking for my fee because I know that's what I'm free in the Lord to ask for and I know that He leads me in spending my money and I spend an awful lot of the money I have made on other people. So I have no qualms asking for a fair price. I'll play for free before I'll play for less. DOOR: What themes do you sing for non-Christians primarily? NORMAN: Everybody needs to hear about Jesus. But I'll tell you who I like to play for. People who are just as burned out as I am. Just sick of everything, and just weighted down by everything. I like to play for the crushed. I like to play for the hurt. For the damaged. All my heart really beats wildly for is the people who are crippled. I once was and I remember. DOOR: Your song "Readers Digest" seems to be the kind of song you're speaking of. It talks a lot about some of the crummy, rotten sort of things and then says Jesus is the answer. At the end of the song, I caught a little bit of "This world is not my home." NORMAN: Yeah. I said, "What a mess the world is in, I wonder who began it. Don't ask me, I'm only visiting this planet." I took a non-Christian pose for a minute, "What's this all about?" And then I took it from a Christian point of view, "Don't ask me, I'm only visiting this planet." Sometimes I throw in, "This world is not my home, I'm just passing through, how about you? ", in case they think "visiting this planet" is outer space talk. DOOR: What's your philosophy of song writing? NORMAN: It's very hard for me to get everything that I think about into a song because some of it just doesn't belong in a song. A song has its own personality and says, "I am flighty by nature. You can make a few statements with me, but please don't burn me down, I'm a fragile person. I'm a fragile being." I used to load my songs down. They were like epics. They took weeks to write and five or ten minutes to sing. I began to forget what people were like. Without realizing it, I began to write for the critics and write for the people who read a lot and I finally reached a point where I stopped relating to people in general. So I've tried to get back to more simple songs. I haven't written any of my epics lately. I see almost all my music as being very angry... lamenting... with a lot of love. But it’s all pretty abrasive. I’m trying to help rub off some of the calluses we build up trudging through the world, so that we become sensitive again. And I try to always write from a straddled point of view. I'm a Christian, but I live in the world. I'm caught between Heaven and Hell and I have to live with the fact that other people are poor, that other people are starving. That other people cannot glibly say, "Oh, isn't life wonderful." Life is pain. Happiness? What is that? Jesus never said we'd be happy. He never promised us happiness. He promised us joy, but joy is something like a diamond. A diamond comes from coal that's under a lot of pressure. And if it's not under pressure, it's just coal. And joy is something that is squeezed out of us. It takes a lot of pressure, I believe, to get true joy. And I've also been helped by what Solomon was saying. I think that Ecclesiastes is a beautiful and incredible book. It's interesting to me that David was such an optimist. But his son seems to be such a negative, cynical person. And yet they're both such lovely people to me. And I'm afraid I'm more a Solomon than a David. I don't jump around and dance before the Lord with a lot of praises and joy. Instead I lament a lot. But I sometimes feel that I enjoy my Christianity more than a lot of people who are very "happy." I find great joy and great refuge in Christianity. And I have an awful lot of fun. thank you so much for posting this interview. it's just as relevant today as it was over 30 years ago. Ditto! It could have been written yesterday. Also, I'll have to check out his music! Although there are a few contemperary "Christian" songs that I like and which are actually well aligned with scripture, God only knows who wrote them - probably not the performers else the next song on the album wouldn't be new-age drivel. Larry's and Randy's music has had a deep and lasting effect on me since I was a young teen. I have carried them with me through my life - they have been just as much my companions as the friends I can touch and speak to. Thanks guys. I love your hearts. Larry's got a freakin' PLANET?! I was not aware he was Mormon, but man, where can I get one of those stellar planet thingies? I think you are mistaking Larry was not a mormon!! Where did u hear that from. I'm just an old lump of coal, but I'm gonna be a diamond someday. Thank you for posting this article. The original interview ws the same year that I accepted Christ. Larry was (& still is) one of the Christians who modeled so much for me. Until I was exposed to Larry (& Rez Band at the same time), I thought to be a Christian meant I had to look like 'them' (Fundamentalist Christians), listen to what they listened (shutter), talk like them, walk like them- basically be a clone. Larry showed me that I could be myself- the person God created me to be- and follow Him. I thank Larry for showing me that I could be myself and follow God. Thank you so much for posting this interview. Larry's music had a huge influence on me during my college years. My wife and I have been missionaries to South America since 1984, and Larry, along with Keith Green and so many others, has been a constant source of strength and encouragement. May God raise up others like them. Thank you for posting this interview. It is as affecting now as it was then. If only more were interested in being effective for Christ than being successful, people would be changed rather than entertained. That would take real stones but alas, the faith has been emasculated. I can't sing or write music but I hope to warble with Larry in Heaven some day! without love you ain't nothing- without love. period. 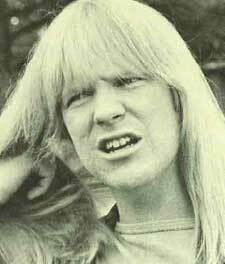 I wish we'd all been ready for Larry Norman. God bless and I'll see you in heaven larry!! There aren't enough artists filled with the Spirit and walking with Him, like Larry and some others did. Why the need for $$$ and fame? Why not just follow the Lord's leading in your life and trust Him to provide in whatever way He wants to? We just can't or we just won't trust Him to do what He has already promised. I was just watching the Grammys and saw Larry's name and picture in the montage tribute to artists who passed away in the last year. I Googled Larry and found his web site and then this interview. I was a huge fan of Larry and Randy as a teenager around the time of this interview. Reading this and Mike Norman's Thanksgiving Message has me on my knees. I remember the first time I talked to Larry. At that time, he was one of my heroes (still is)because although some people never understood him, he always told you where he stood. I loved how he would talk to you as a person with the same basic needs that we all have. He did not want the spotlight, and shied away from it when it was off. I never met a guy who seemed to have his head on so straight, while others doubted his sanity. Too bad that the only thing we want to hear is how great it is to get blessed by God, and how and when to expect our hundred (or more) fold returns. I never heard Larry talk like this, his eyes were on a bigger goal, to reach the people who had real problems with the real solution, the Man Christ Jesus. 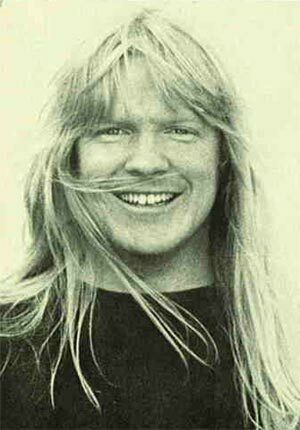 I was introduced to Larry Norman's music by a high school friend (thanks, Steve!) and never forgot the intensity,humor,incisiveness and occasional sarcasm to be found there. I admit, I did not follow all his work. I was immersed in the mainstream of Christian music and from time to time, I refreshed my spirit by reacquainting myself with his point of view. I am impressed with any Christian artist who does not hide in an ivory tower and emerge to sound the battle cry. Larry was street-level and knew the dangers of preaching to the choir as so many religious artists do. His life was not picture perfect-he seems to have had plenty of flaws. But I am heartened and buoyed by his honesty and fire. He has been like a brother to me.See you in heaven, Larry! fallen agnel is nothing more than slandering a dead man, wihtout the guts to face him or his family. It is similar the the person that "prays" for the preachers daughter, "who is a prostitue" as a way to spread rumors. wouldn't DNA testing be the solution? DNA is non-conclusive in paternity. Go to FailedAngle.com to find out the facts refuting the LN rumors. Larry had one of the sharpest minds in Christian music. He ruined me for dime store religion years ago. Interviews like this are fascinating to me, and no one else in Christian music ever talked like this. There is no one else like him, or will be. A truly unique and intelligent mind. Larry Norman's is a story of a pyramid built on the principles of immense perseverance, hard work and dedication which helped him set records for the main gospel music trends. It is quite pleasing to read about his meteoric growth in the world of christian gospel music. Thanks. 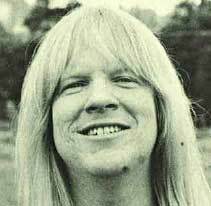 I am extremely glad to go through this lively interview with Larry Norman. I appreciate the pertinent questions put to him and the convincing answers given. Game and Country Fair - Countryman Fairs organise the UK's leading group of countryside events offering world class competitions and attractions showcasing country life at its best. It hurts my heart to hear you say that the Holy Spirit of God is no longer in this world. My question for you, then it would be so, what was the spirit of Paul talking about when he was telling the people of Galatia in Galatians 3:14? In addition, the book of Joel speaks of the spirit in a way that is for all who believe in the seed of Abraham.